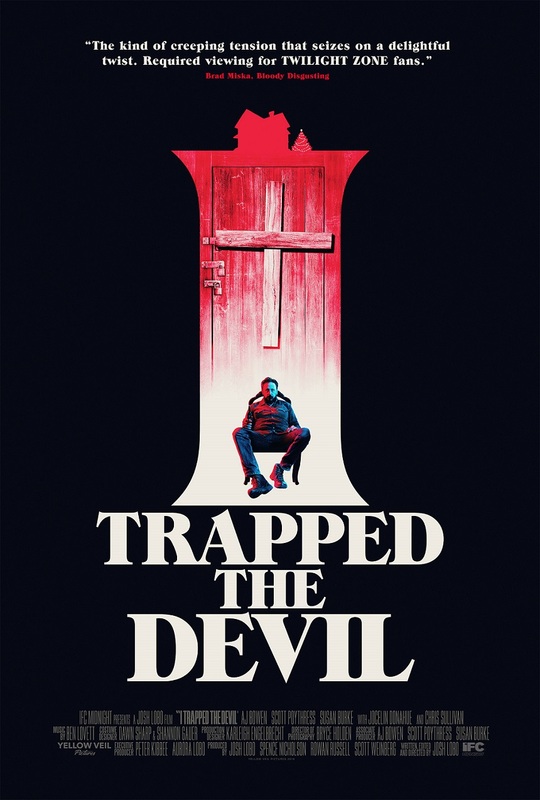 When our friends at Yellow Veil Pictures announced their arrival last Summer they already had Josh Lobo's debut feature film I Trapped The Devil on their sales slate. Back then we knew it as A Man In The Dark but it has since donned that fancy new moniker, I Trapped the Devil. So Yellow Veil did their job and sold I Trapped the Devil to IFC Midnight who are wasting no time and will screen the film at a select number of festivals before releasing it in select cinemas and On-Demand April 26th. A nifty new poster was released yesterday and here it is below in all its glory. We think it is reminiscent of covers of pulp horror novels. We like it a lot. Here are the festivals where I Trapped The Devil will play before its theatrical release.